Price listed is for one 50 gram tub of flux. 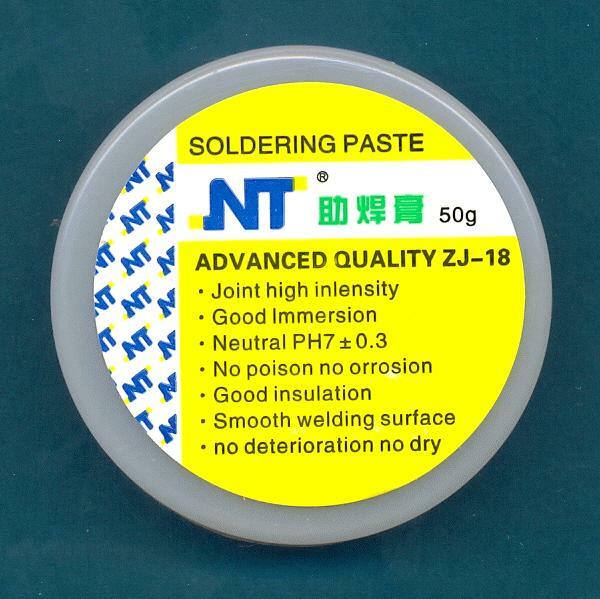 This is high quality flux paste for soldering. Note* Most of our solder has a rosin core and does not need flux. However, our 3% silver lead-fee solder wire (0547-69) does require flux. NOTE * SOMETIMES THESE WILL COME IN SQUARE CONTAINERS OR WITH A DIFFERENT LABEL.